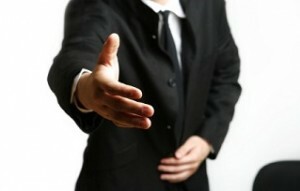 Finding a good commercial lawyer is an important part of any business operation. Picking the right one isn’t always straightforward, however, and it can be hard to know exactly how and when to retain one. Read on to learn some of the important factors that go into this decision. Friends or fellow business owners can often point you to a reputable individual, and a simple Google search can also help you find lawyers in your area. Beyond that, the Australian Bar Association has specialised resources to help you find the right one for you. Keep in mind that there are different categories of lawyers under the commercial umbrella, such as insurance and IP, so a bit of extra research beforehand can help you determine what kind of professional is suitable for your needs. One of your most important choices is the size of firm that you enlist. There are pros and cons to both large and small firms. While a larger one will have many resources, connections, and an established name, all of that comes at a price that will likely be higher than that charged by a smaller firm. Also, such firms often handle many files at once. In contrast, a lawyer at a small firm might be able to give his or her full attention to your case, resulting in more individual care at a lower price point. At the same time, you shouldn’t discount the weight of a larger firm’s name and assets. Most lawyers will not charge for the initial consultation, so this is a good opportunity to get to know more about the prospect. It’s important to ask the right questions about experience, connections, and qualifications. You should also make an attempt to judge his or her overall character; use your instinct to detect any red flags. It would be a significant mistake to wait until you’ve been sued to seek out legal assistance. Generally, the cost of having a lawyer ensure that your plans will not run afoul of any laws is tiny compared to the amount you’ll have to pay once you’re already in trouble. For this reason, it’s recommended to get in touch with one early on in your dealings so you can maintain a continuing relationship with an individual that you know to be capable of meeting your needs. While finding a commercial lawyer might not be your idea of a good time, it’s an important choice that can make several aspects of your business go more smoothly. Hopefully, these tips will help.